We followed the exchange of container cargo and the workers who facilitate its journey around the world through The Forgotten Space (2010), a film by Allan Sekula and Noël Burch (2010, 112 min., color/black-and-white, sound). 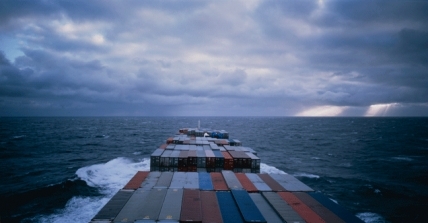 Sekula introduced the film and discussed his ongoing exploration of the sea as an essential, but all too often invisible, site of labor and global exchange. The screening was followed by a discussion with ICA Program Curator Alex Klein and questions from the audience.